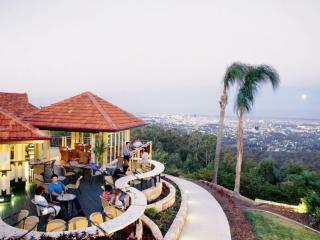 Located just 6km west of Brisbane city, Mt Cootha is an iconic landmark and at 287m above sea level, is Brisbane's highest peak. Forming part of the Taylor Range, Mt Cootha is visible from the city and is part of a reserve containing over 1,500 hectares of natural bushland. 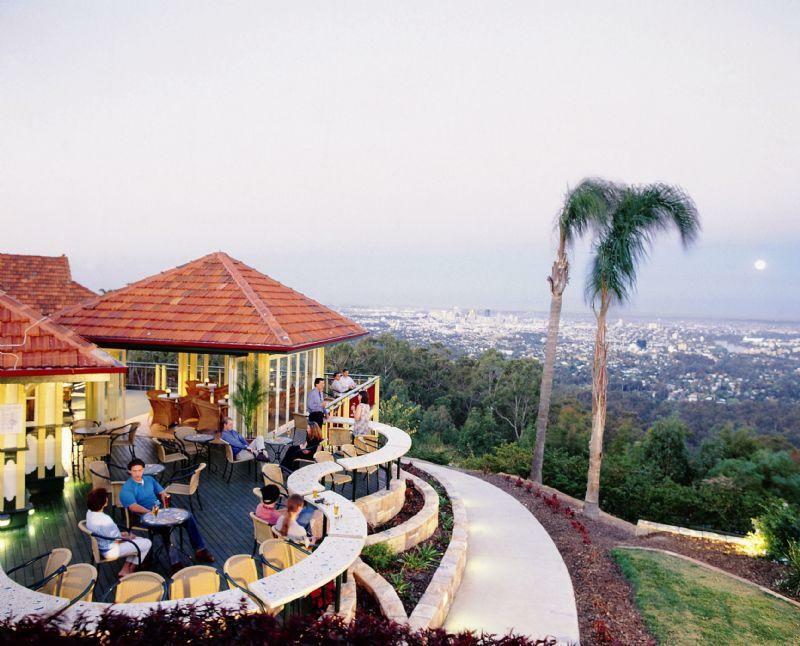 A popular tourist destination, Mt Cootha is also home to Kuta Café and the award winning Summit Restaurant where visitors can enjoy a bite to eat or a fine dining experience with amazing views of the city and out to Moreton Bay. The Mt Cootha Reserve is also home to Ithaca Creek, JC Slaughter Falls, abundant native wildlife and borders the Brisbane Forest Park, adding another 25,000 hectares to the attraction. The area is popular among mountain bikers, hikers, horse riders and 4WDs. At the base of Mt Cootha there's also the beautiful Botanic Gardens and the Sir Thomas Brisbane Planetarium. The top of Mt Cootha offers amazing views out over the city and as far as Moreton Bay however there's also some fantastic things to see along the walking tracks including Aboriginal art displays and the area's native wildlife. Each track varies in difficulty however most feature steps or uphill sections so some level of fitness is required. Some of the more difficult tracks on Mt Cootha are actually used by hikers to train for Papua New Guinea's Kokoda Track as the climate and terrain are quite similar. The western side of Mt Cootha is known as Gap Creek Reserve and is popular with mountain bikers thanks to the world class trail network established by the Brisbane City Council offering diverse off-road recreational cycling experiences. Graded by the International Mountain Bicycling Association's Trail Difficulty Rating System, the multi-purpose trains aren't particularly technically challenging however the terrain is loose and steep. Riders are advised to proceed with caution over erosion control banks (water bars).